Carmel Adventist College is interested in providing children with a whole-person education. On our campuses you will find a caring Christian environment where children can learn and play. Our goal is to nurture their spiritual, social, mental and physical development, with their future success in mind. The early childhood program (Pre-Kindergarten and Kindergarten) establishes a solid foundation for skills that are necessary in order to be successful in the succeeding years of school. 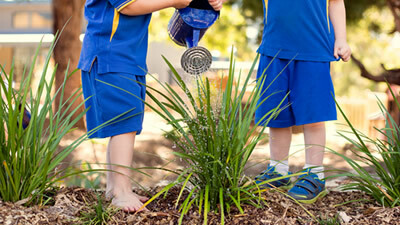 The Junior School program (Years 1-6) creates a strong foundation for learning. Students are encouraged to establish responsible work skills and ethics, and develop time-management skills. The Middle School program (Years 7-10) builds on the foundation that has been established in junior school and encourages students to strengthen their interests and abilities. The Senior School (Years 11-12) further hones into students’ interests, as students focus in greater depth in learning areas that prepare them for the workforce or tertiary study. Storytime in the Bush commences again for Term 4. Make your booking now!